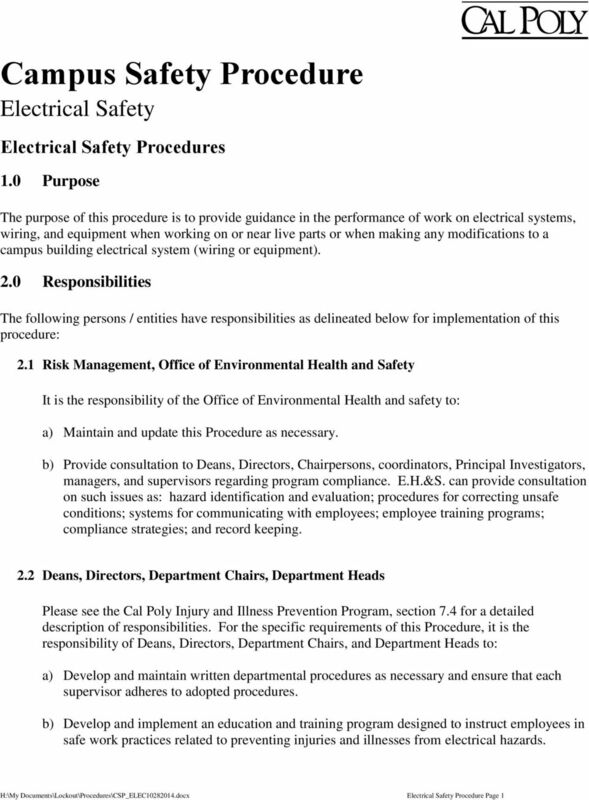 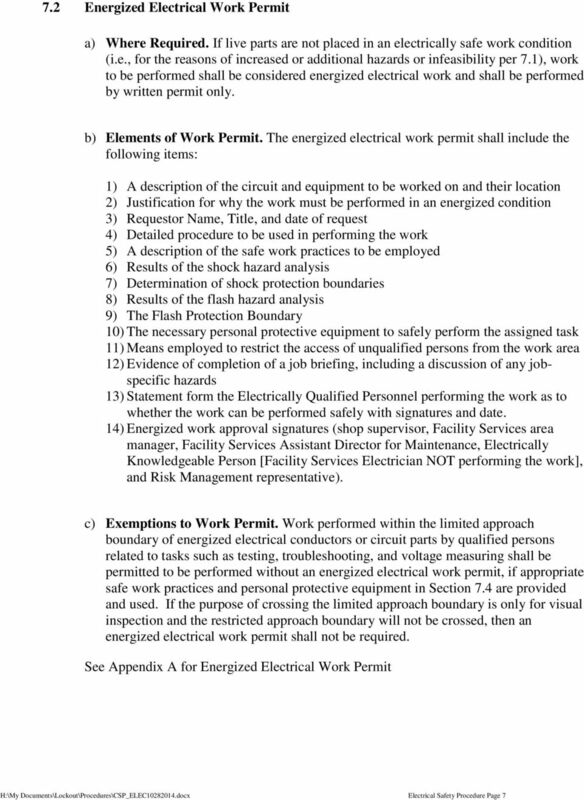 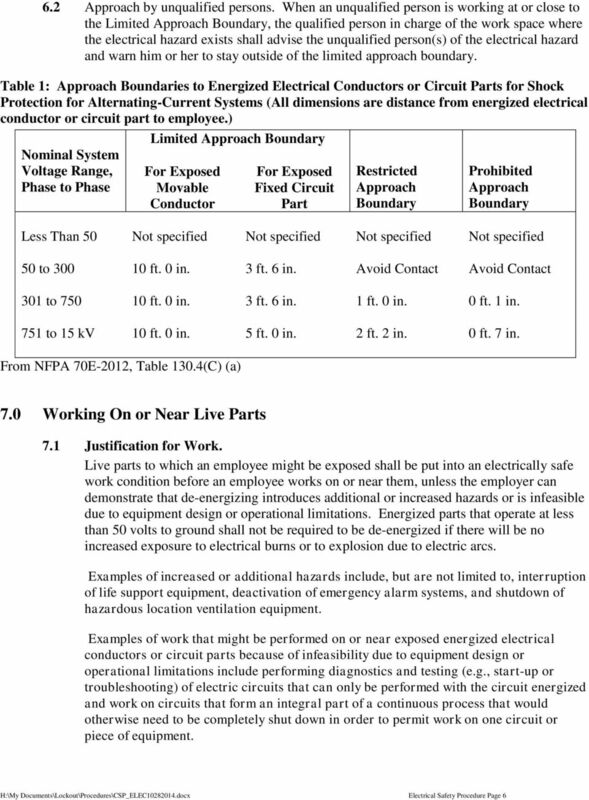 Download "Campus Safety Procedure Electrical Safety"
b. 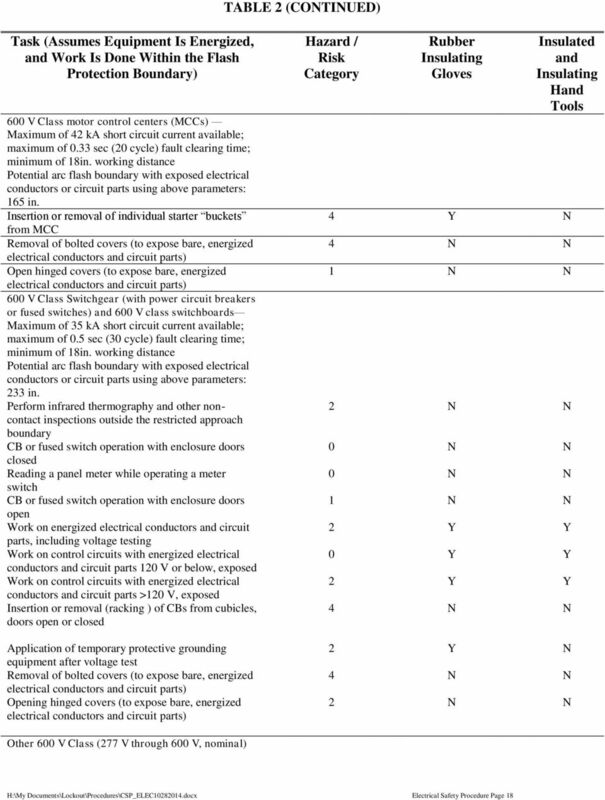 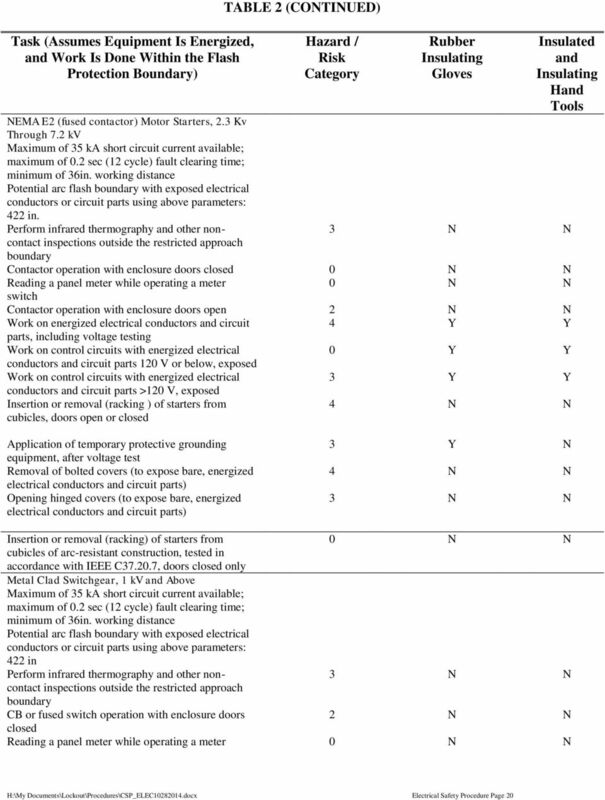 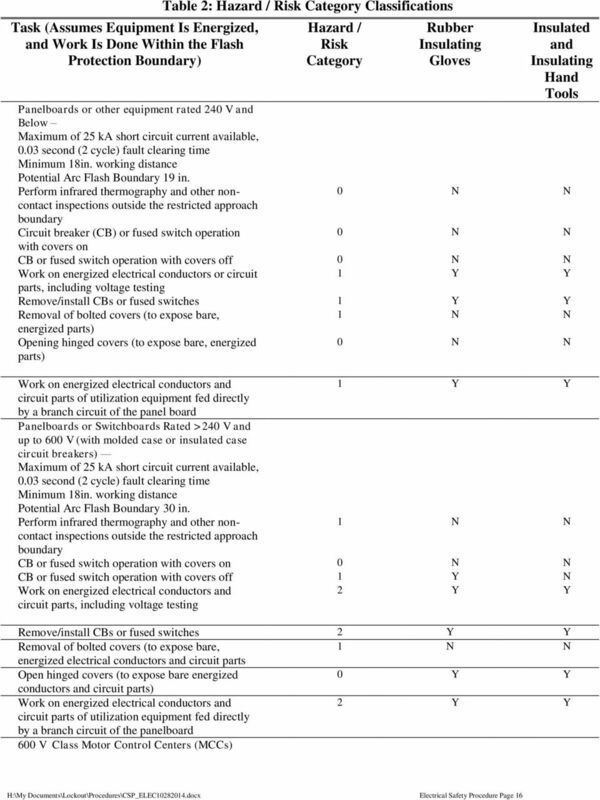 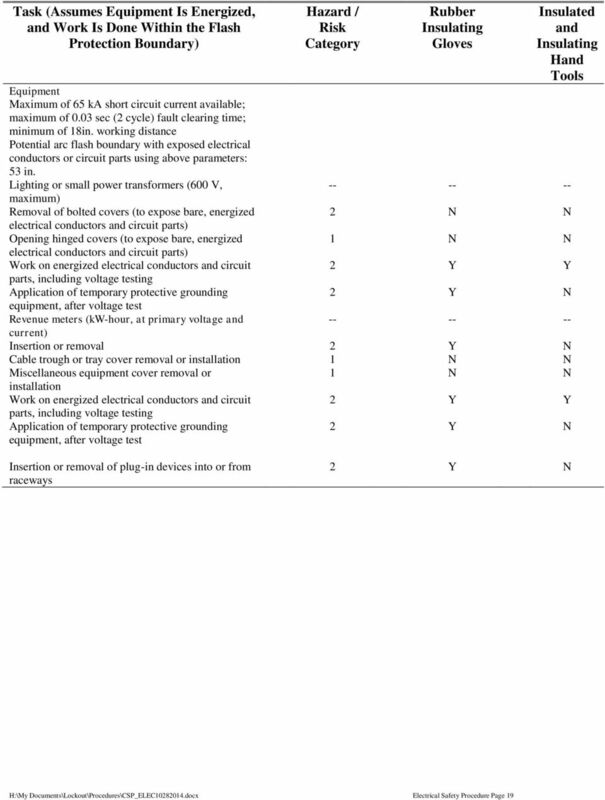 All provisions of the wind turbine safety program outlined in this OP are followed. 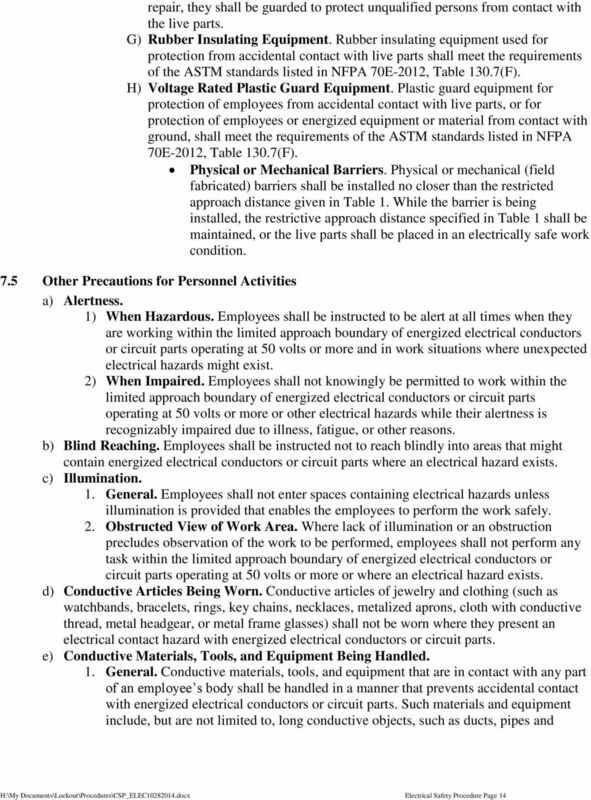 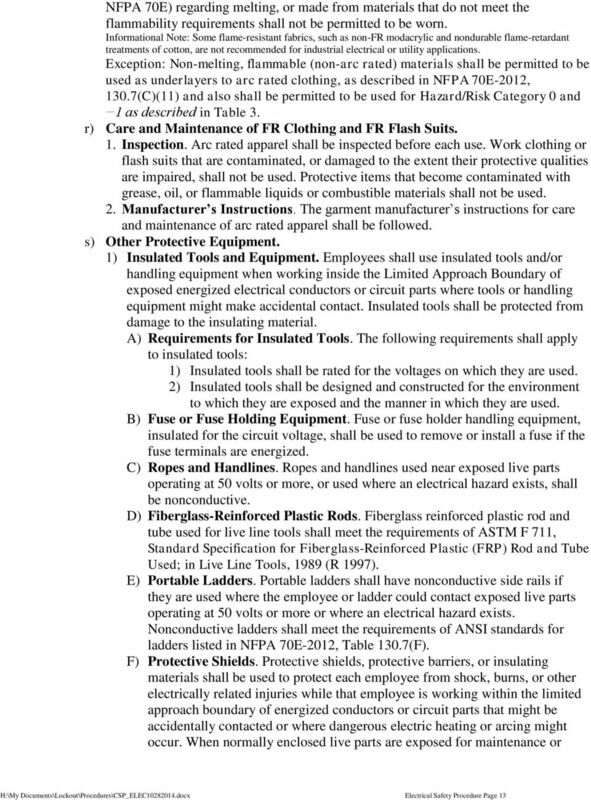 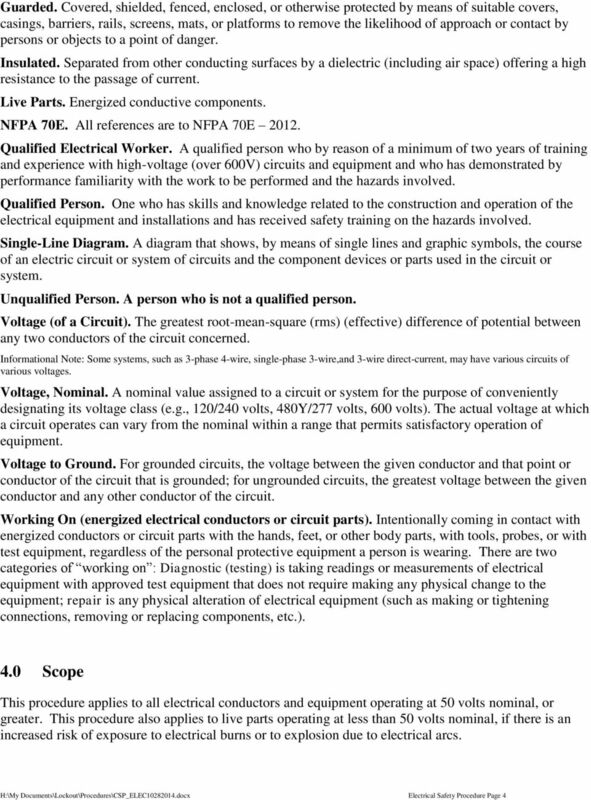 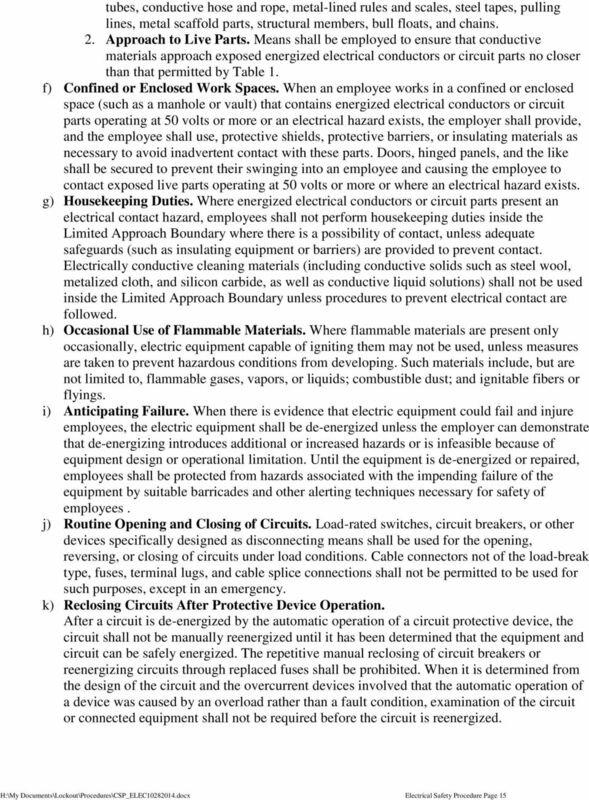 RMM 306 Lockout/Tagout (LOTO) Program for the Control of Hazardous Energy Page 2 3 Related Documents 3.1 Occupational Health and Safety Act, R.S.O. 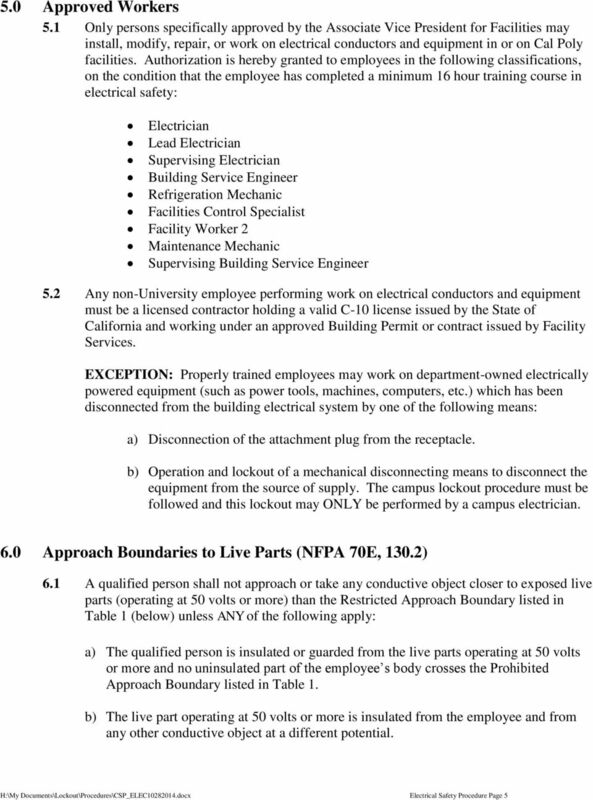 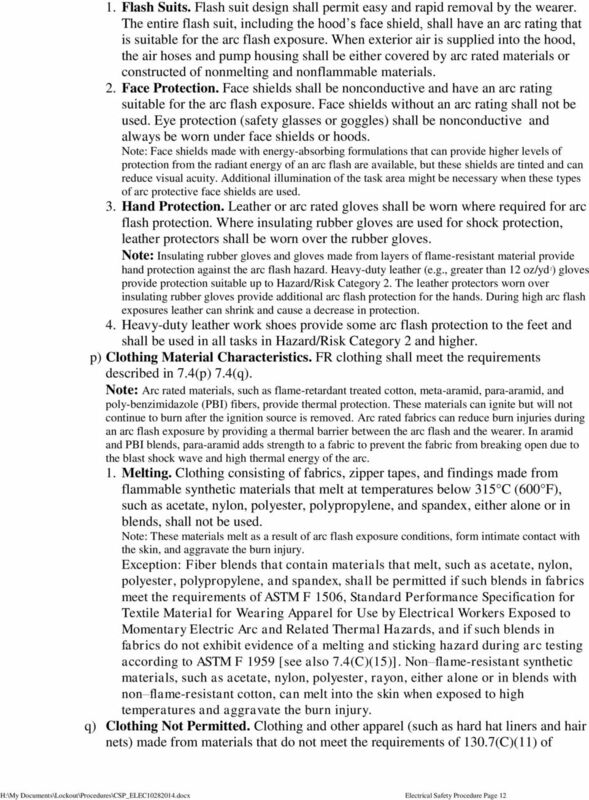 1990 3.2 Regulations for Industrial Establishments, R.R.O. 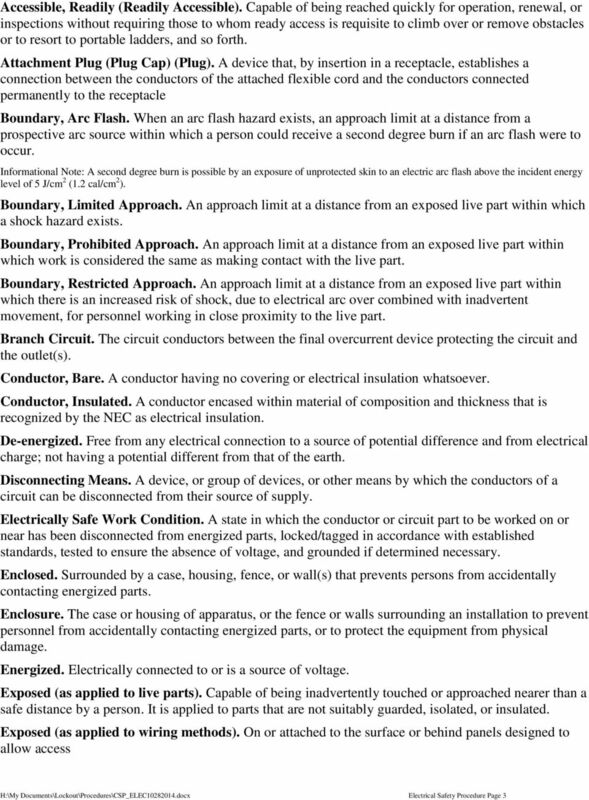 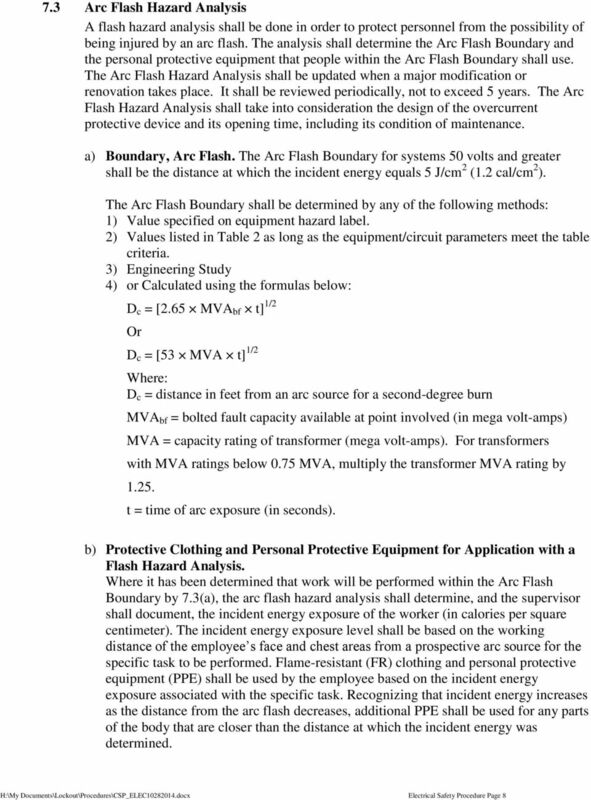 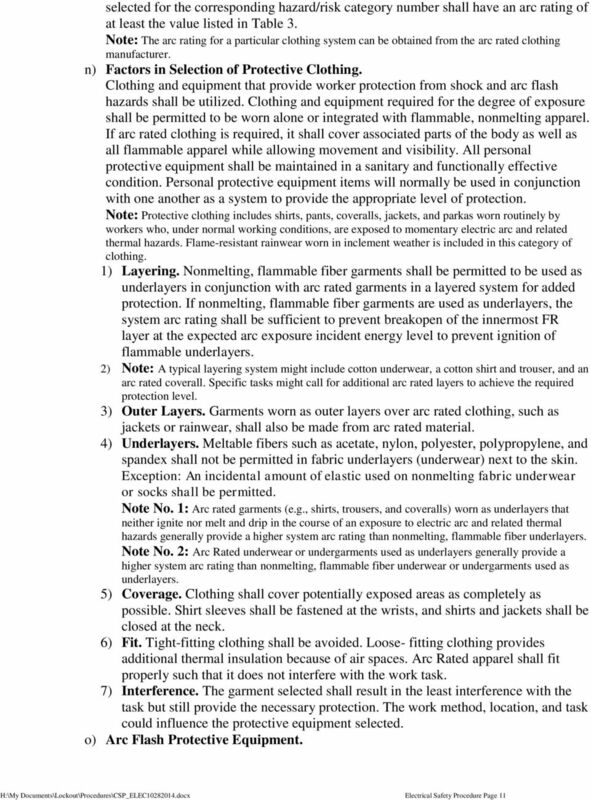 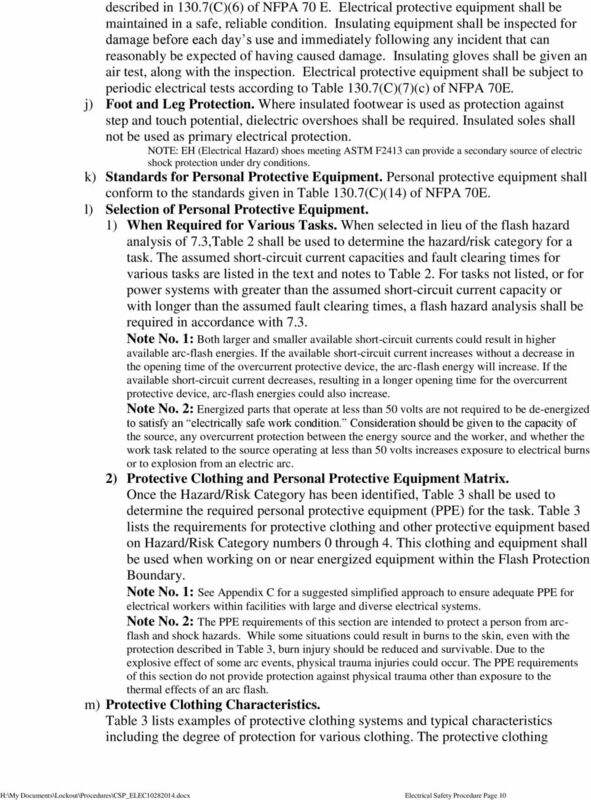 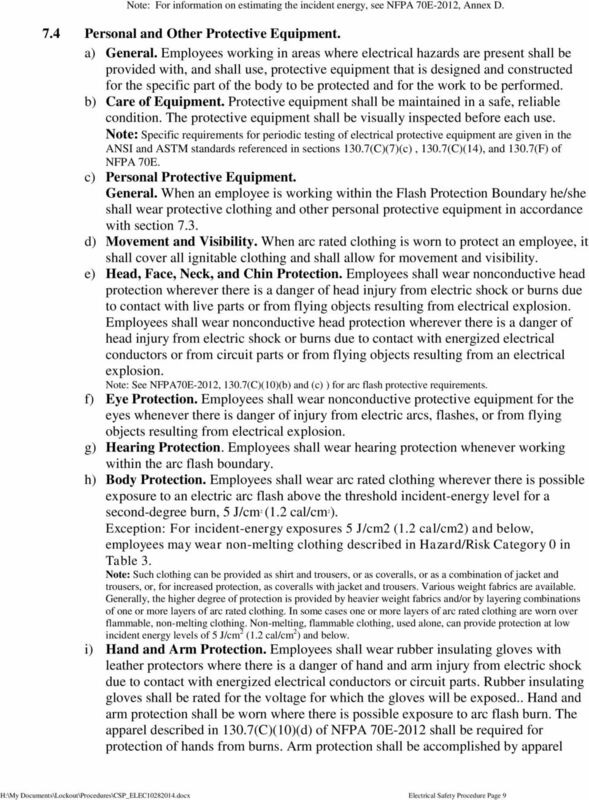 misconceptions about arc-flash hazard assessments There are some common misconceptions about Arc-Flash Hazard Assessments which reduce the effectiveness of the Assessments and can increase electrical hazards. 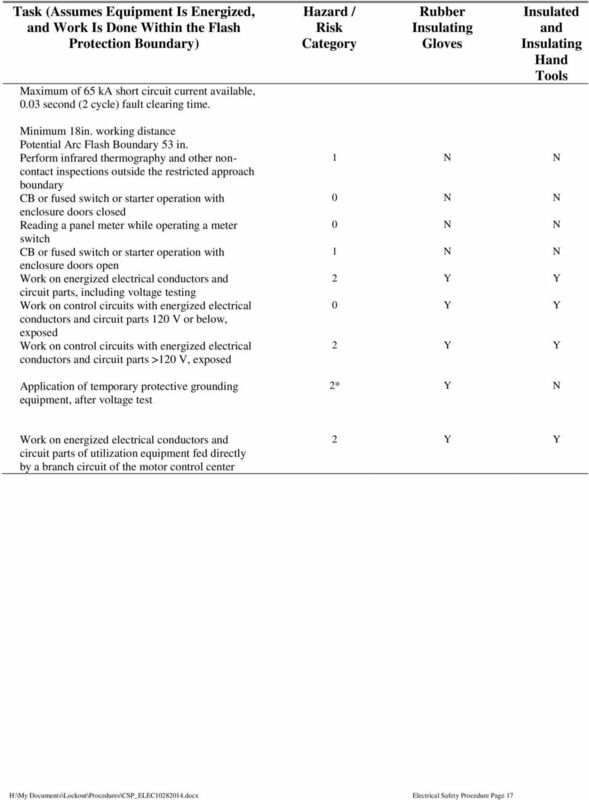 Introduction The typical laboratory contains a wide variety of electrically-powered equipment including stirrers, shakers, pumps, hot plates, heaters, power supplies, ovens, and electrophoresis equipment.